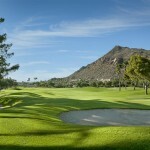 Scottsdale has some of the most beautiful golf courses and golf course homes in Arizona. 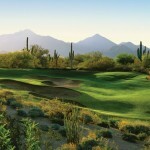 If you find yourself golfing frequently, you may want to consider getting the White Tee Card from Grayhawk Golf Club. This year-long deal is too sweet to pass up. The White Tee Card allows the cardholder (and three of their friends) to golf for 40%-60% off of the regular rates at Grayhawk Golf Club. 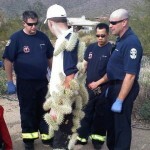 But wait- there’s more. The card also serves as a rewards program. For every five rounds of golf, the cardholder gets one round free! Cardholders will also receive 10% off food, catering and their purchases at the Golf Shop. The practice facilities are available for use for only $25 for the cardholders. The tee times for cardholders can also be booked four days in advance. The White Tee Card is effective January 1, 2o15- December 31, 2015 for a year jammed-packed with putts, swings and hole-in-ones. A new White Tee Card is $675 and a renewal is $479 until December 31st. 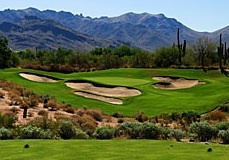 Grayhawk Golf Club has two beautiful courses- The Raptor and The Talon. Both courses were ranked in the “Top 100 You Can Play in the U.S.” by Golf Magazine. 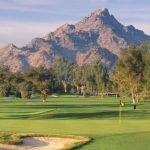 They share scenic views of the McDowell Mountains and both incorporate natural Arizona landscaping into their lush greenery. The Raptor was designed by Tom Fazio, and it is a bit of a challenge with many strategically placed bunkers. The Talon was designed by U.S. Open and PGA Champion David Graham and golf course architect Gary Panks and features multi-tiered greens. 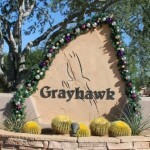 Interested in Grayhawk homes? Call me at (602)791-0536 or email Carmen@TopScottsdaleHomes.com and we can schedule a showing.